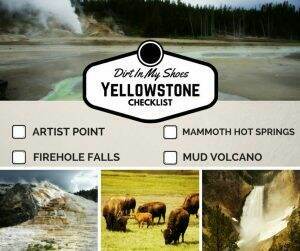 If you’re getting ready for a vacation to Yellowstone National Park, this checklist will help you keep track of where you’ve been and where you still need to go! No more FEAR OF MISSING OUT — you’ll hit all the best spots as you make your way through this list. 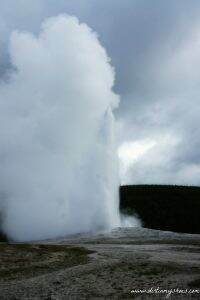 It includes points of interest from the popular Dirt In My Shoes 12 Things You Can’t Miss On Your First Visit to Yellowstone and 6 Spectacular Roadside Waterfalls articles. Are you ready to be here in person?!?! 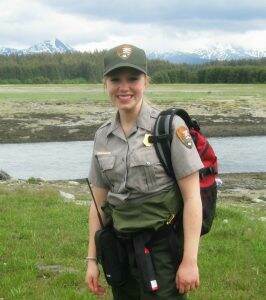 My name is Ash and I’m a former park ranger. Dirt In My Shoes is all about YOU and YOUR experience hiking through America’s national parks. You can expect to receive the most informative and genuine advice available…I’ll even help you plan your trip!! 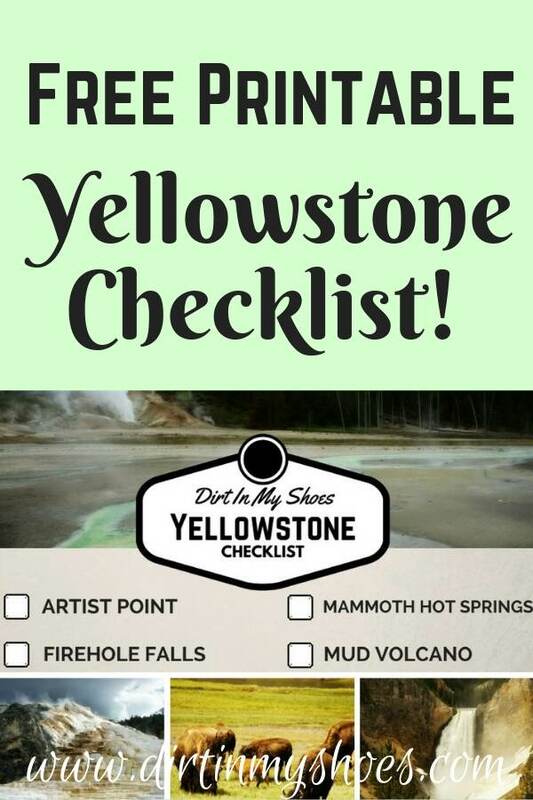 Now, when you are ready to TRANSFORM the way you travel — and plan the most epic Yellowstone National Park trip you have ever experienced — sign up for your free Yellowstone checklist below!